The Clean Plate Club: Pestos With Panache - WINNERS! Pestos With Panache - WINNERS! Good Morning! I'm very excited to announce the winners of the Pestos with Panache giveaway! 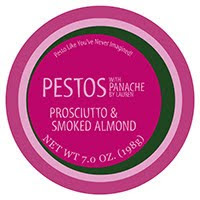 Since we only had five entries - Lauren at Pestos with Panache has agreed to give EVERYONE WHO ENTERED a sample of the delicious pesto of their choice! THANK YOU LAUREN! So Small Boston Kitchen, Megan, Lara, HC11238, and Shoops - Please email me (afidalgo12@gmail.com) your mailing address, and the flavor you want to try and I'll forward them to Lauren - she will send you the pestos directly! Congratulations Winners!! I'm so glad you get to try this awesome product! I'd love to hear about the flavors you receive and how you enjoy them! Woohoo! Is it weird that I'm this excited about winning pesto?! Emailing you my address now!! I can't believe I missed the opportunity to win pesto, I'm so bummed!!! Happy pesto-ing all you winners!! !